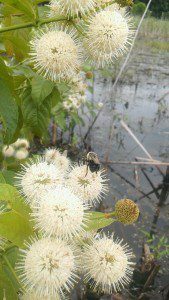 Buttonbush, (Cephalanthus occidentalis), at Huntley Meadows. how to help this species. This bumblebee, along with many other pollinators, needs cover for protection throughout the year, but especially in the winter time when nests are needed for overwintering. 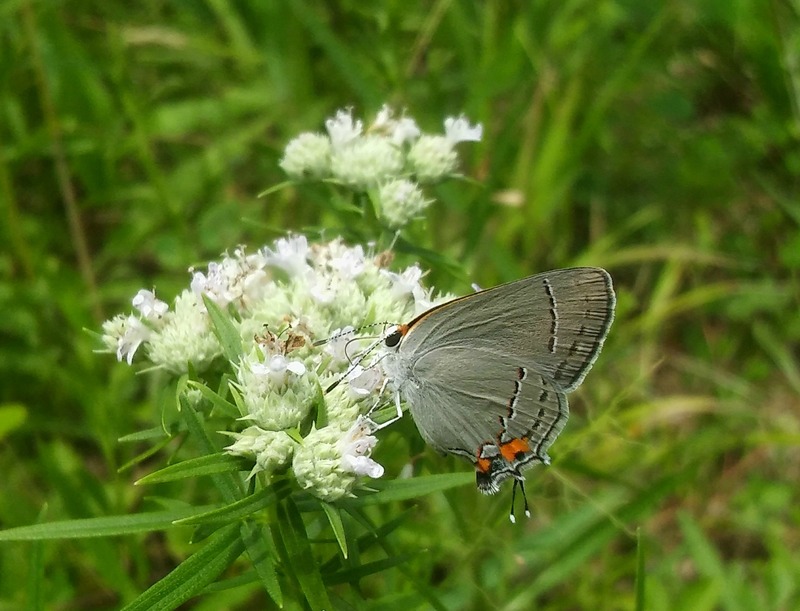 The Rusty Patch munches primarily on flowers from trees, shrubs, and forbs. With all these requirements, bees and other pollinators have it pretty tough because of the long-standing obsession for pristine lawns so popular in this nation. Flowers and places of cover are not what most lawns provide, as they are consistently weeded, mowed and raked. The more people I talked to about this issue, the more I felt the need to speak out against “perfect” lawns and the importance of integrating native flora on your land for our native fauna! Native plants are a resource for wildlife that is dwindling due to urban sprawl. According to the Audubon Society, the United States has lost about 150 million acres of habitat to urbanization. This does not leave a lot of natural areas for native wildlife to thrive in. A big portion of this decrease in habitat is attributed to the American obsession over lawns. Our lawns, filled with non-native grasses that we water, mow, clean-up, and rake leaves off, of do not provide functioning ecosystems for our animal neighbors. The remaining natural areas are not enough to support all the pollinators, birds, and others that make the outdoors what it is. An alternative to full lawns is the addition of planting meadow plants or native grasses. 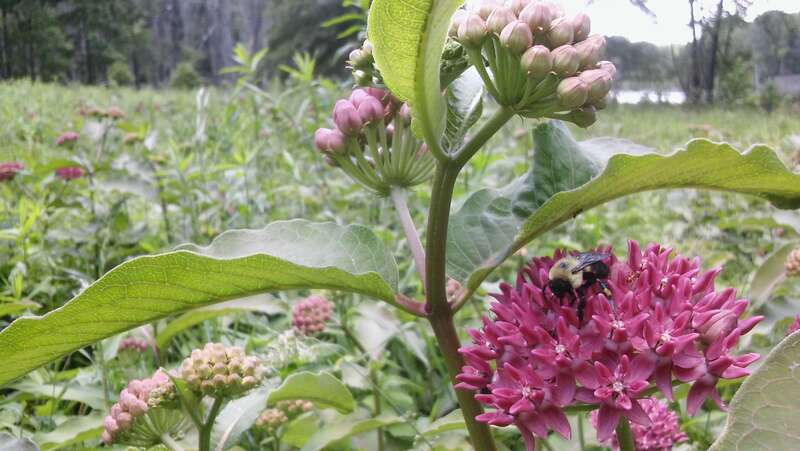 Native Bumble Bee makes use of Purple Milkweed, (Asclepias purpurea). Virginia’s largest population of this plant lives at Huntley. Native trees are also treasures that are not receiving the credit that they deserve. Ornamental trees are very popular in landscaping, but are not good host plants. The Audubon Society, quoting research by Doug Tallamy, states that a native oak tree can support over 500 caterpillar species whereas Ginkgo, for example, only hosts 5 species of caterpillars. learn about issues in your area that are affecting these critters – like the pipeline! make your natural area a lot more entertaining when wildlife see what good you’re doing! Gray Hairstreak on Thin-leaved Mountain Mint, (Pycnanthemum tenuifolium). All these native plants can be grown at home! The importance of native plants really showed up on my radar when I was fortunate enough to be an intern at Huntley Meadows Park in Alexandria, Virginia. I heard of the internship from a friend who works at the park; she knew it would be something I would love! I am now a senior at Virginia Tech majoring in Wildlife Conservation with the aspirations to work with pollinators and herpetology. At Huntley Meadows, we provide a vast array of native plants for pollinators and friends to have a source of habitat! We practice controlled burns in select meadows to maintain the habitat along with controlling our invasives to our best abilities. The insects in these photos were my friends this summer! Editor’s Note: Many thanks to Tiffanie who took time out of her busy college schedule to get this post to us!